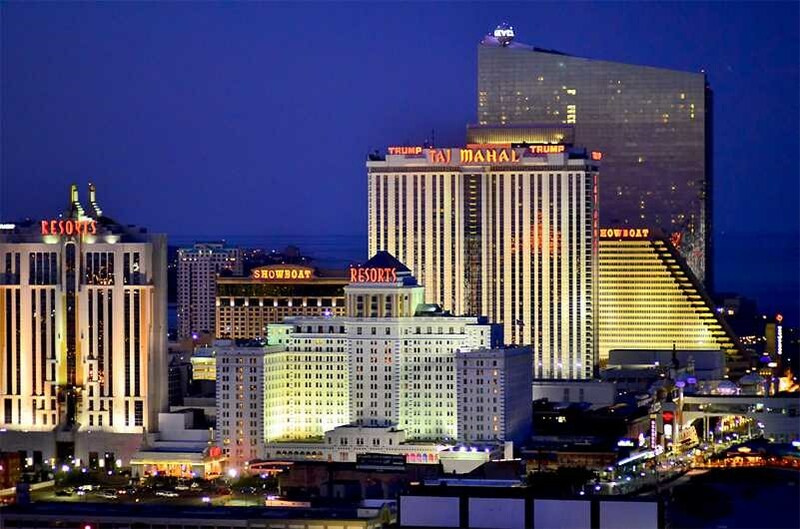 Casino revenues in Atlantic City came in a mere 0.3% higher in the month of April According to the Division of Gaming Enforcement, with the gambling mecca by the sea pulling down $191.4 million in land-based receipts. Online gambling revenues were also up slightly by 0.9% year-on-year to hit $214.4 million. Overall revenue on the year, however, is still down, with the city reporting a 6.1% dip in land-based casino revenues over 2017 and a 4.4% total dip when online casino revenues are factored in. 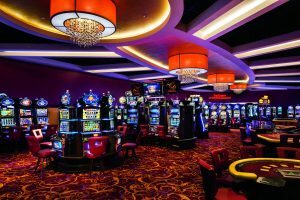 Revenue totals from individual land-based casinos were seemingly all over the map, with some casinos posting considerable gains and others substantial losses. The Resorts casino topped the winners list, posting a 23.3% increase in year-on-year revenue for April to hit $17.2 million. The Golden Nugget also reported a solid double digit rise in April revenue of 11.6% year-on-year to reach $20.2 million, keeping the casino 5.3% ahead overall for 2018. Conversely, Bally’s lead the losers list, seeing a 11.3% drop in year-on-year revenue for April to pull in $15.2 million. Not far ahead at the bottom of the board was the Borgata, which fell 9.1% over April 2017 to chalk up $53.1 million in earnings. Year to date figures for Atlantic City come in down 6.1%, with land-based casinos pulling in a total of $716.7 million. The second half of the year, however, is potentially looking brighter for two main reasons, legalized sports betting and two new properties coming online. The Hard Rock Hotel & Casino Atlantic City, formerly Trump’s failed Taj Mahal, will open its doors on June 28. The 1,399-room Ocean Resort, the new incarnation of the failed Revel casino, is also set to open its doors the same day. Both casinos will bring different new additions to the Atlantic City casino market. The Hard Rock is music focused, having booked 300 entertainment acts for the next 12 months, including the likes of Ted Nugent, Bush, the Stone Temple Pilots, The Cult, Frankie Valli, Howie Mandell and the Gin Blossoms among others. 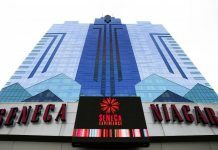 The casino itself will offer 120,000 square feet of casino floor space, boasting 2,100 slots and 120 table games, while the hotel will offer 2,000 rooms and suites with 20 brand name restaurants. The Ocean Resort, on the other hand, will be focusing on high-end conferences and meeting crowds with 13 restaurants, 130,000 square feet of gaming space including 2,500 slots and 120 table games. While industry observers agree that the two new venues will be good for Atlantic City, competing properties, already down for the year, may have some cause for concern as the new casinos take a bite out of the existing market. 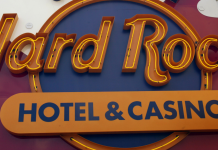 “The opening of the Hard Rock and Ocean Resort will expand the AC market, but at the same time it’s going to cannibalize some revenue for existing properties,” Spectrum Gaming Group Executive Vice President Joseph Weinert told NJ.com. Whether of not the Ocean and the Hard Rock will cannibalize already lagging Atlantic City visitor numbers remains to be seen but, in light of the recent U.S. Supreme Court ruling legalizing sports betting, the city, which has long prepared for such a day, is counting on grabbing its share of a sports betting market estimated to be worth nearly $2 billion. New Jersey was the plaintiff in Christi vs NCAA, the case before the Supreme Court that saw the justices in a 6-3 decision rule the Professional and Amateur Sports Protection Act unconstitutional, paving the way for legalized sports betting across the nation. 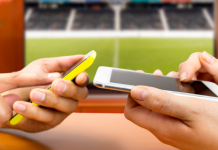 With a New Jersey law regulating sports betting already on the books, Atlantic City casinos got the lead in building the necessary sports betting infrastructure, with most venues ready to launch operations in a matter of weeks to months, well ahead of the rest of the nation. While some industry observers, such as Gambling Compliance, predict that sports betting will do little to help Atlantic City’s bottom line, pulling in an estimated $50 million or less that 2% of total gambling revenues in 2018, others believe the bigger picture lies in the visitors the city is likely to attract as punters come to watch as well as bet on games, providing a trickle-down effect on non-gaming food, drinks and accommodation revenue. Moreover, online sports betting, most if which will be channeled through Atlantic City sports books, is forecast to generate some $250 million per year, potentially pulling Atlantic City’s online gaming revenues up near the $500 million mark, providing a comfortable revenue cushion on top of the two new casinos. Either way, Atlantic City is in for an interesting year as the hard Rock and Ocean open their doors and sports betting becomes a reality. Whether this will be the city’s salvation, stasis or curse only time will tell.